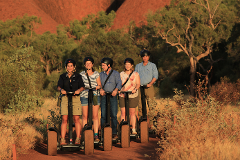 Includes: Return transfers from your hotel within Ayers Rock Resort; Segway training; Fully guided Segway tour around the full base of Uluru; Guided walk into Mutitjulu waterhole. 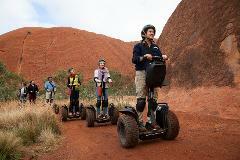 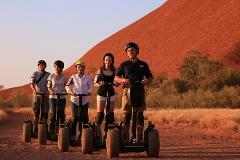 Duration: 5 hours; Includes: Return transfers from your hotel within Ayers Rock Resort; Sunrise viewing and light breakfast; Segway training; Fully guided Segway tour around the full base of Uluru; Guided walk into Mutitjulu waterhole. 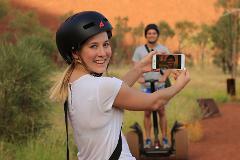 Duration: 5 hours; Includes: Return transfers from your hotel within Ayers Rock Resort; Segway training; Segway 1/4 of the Uluru Base Guided walk into Mutitjulu waterhole & Mala Walk; Sunset Viewing with nibbles and soft drinks.